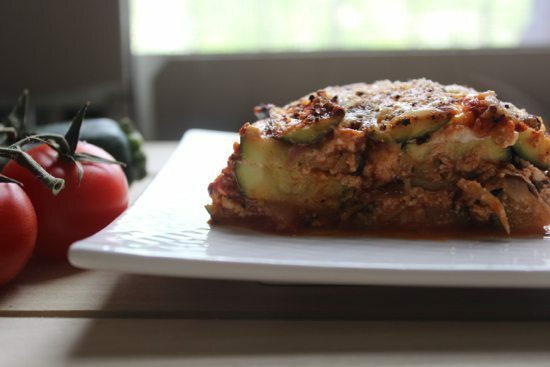 Zucchini season is upon us making this Low Carb Zucchini Lasagna recipe perfect for your summer nights. This pasta-free, low carb recipe is packed with vegetables and protein. Besides being mouthwatering, it makes for the perfect packed lunch, and can be done with just 5 ingredients. Make it for dinner one night and take your leftovers to work the next day. Zucchini is a phenomenal, light alternative to dense pasta. 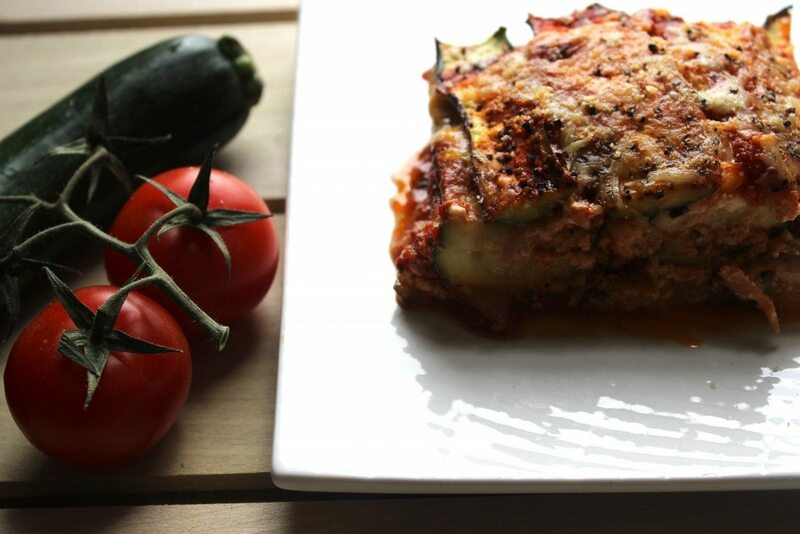 Zucchini is a type of summer squash that can typically be found in the store all year long. It is an excellent source of vitamin C, vitamin B12, and manganese. Zucchini also provides vitamin A, potassium, phosphorous, and folate. 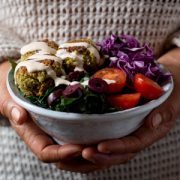 This recipe adds your daily dose of vitamins and minerals in a delicious way! You’ll need a few zucchinis for this one. Start off by chopping the ends off of each end of the zucchini. 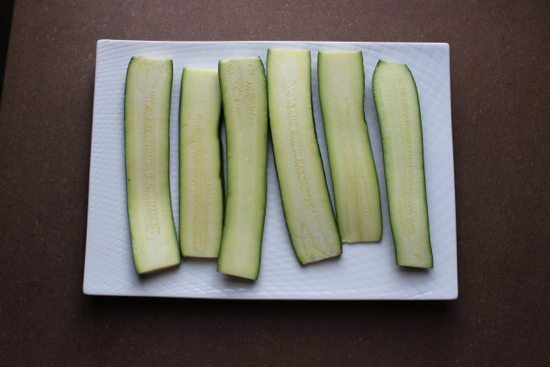 Slice each zucchini lengthwise into 4-5 slices. You’ll want these slices about ⅕ inch thick. 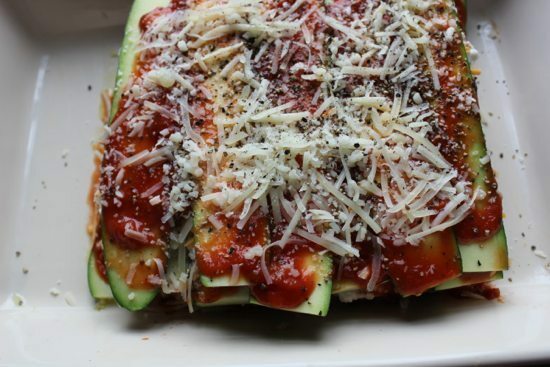 In a baking dish, assemble 4-5 tightly aligned zucchini slices as your base. Spread ½ a cup of tomato sauce and lightly add ricotta and mozzarella cheese. Portion it all out so there is enough for three layers. Add 4-6 onion rounds on top. Repeat the layers two more times. Top off the dish with remaining zucchini slices. Lightly spread whatever is left of the tomato sauce, sprinkle on some more cheese, and toss on a dash of black pepper. Bake this up at 400F for about 60-70 minutes! Chop both ends off of each zucchini. In a baking dish, assemble 4-5 tightly aligned zucchini slices as your base. Add 4-6 onion rounds on top. Top off with the remaining zucchini slices. Lightly spread what’s left of the tomato sauce, sprinkle some mozzarella cheese, and finish off with grounded black pepper (optional). Bake @400F for 60-70 min. Enjoy! I need lifestyle & recipe tweaking. These are exciting recipe modifications using healthy ingredients I already stock. Looking forward to implementing, & future ideas! Hi, this looks great and I’d really like to make it. I’m wondering if you have any suggestions for substitutes for ricotta cheese? I have a lactose intolerance and while I am able to sub with lactose-free marble or mozza cheese, I have yet to find something I can sub for ricotta or cottage cheese (I can’t find lactose-free cottage cheese locally either). Maybe nutritional yeast would help to thicken or make for a fuller taste? 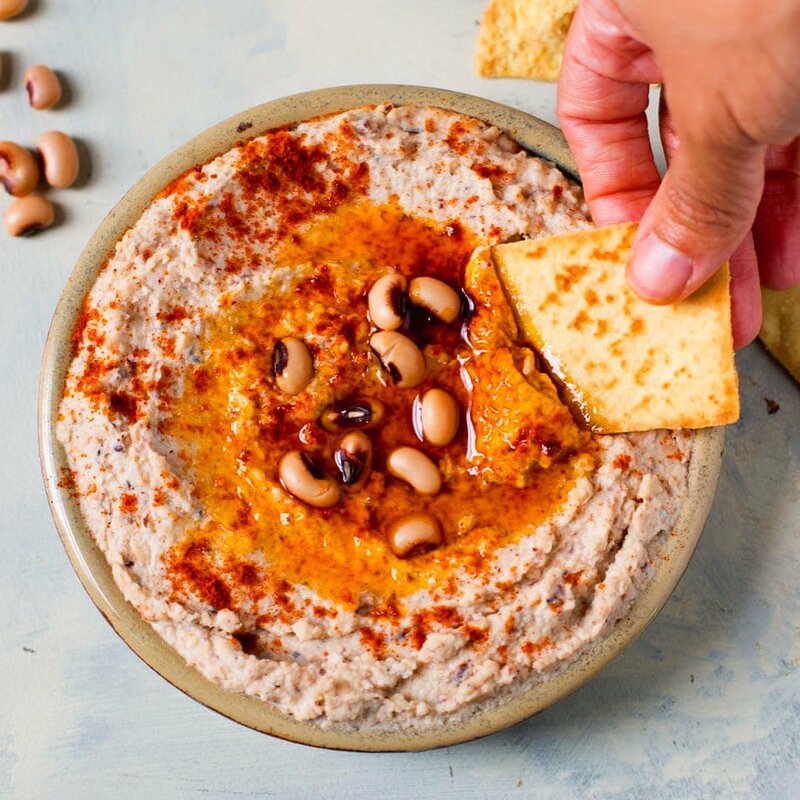 have you tried cashew cheese? You can buy it at certain health food stores or make it at home. You can also make your own Ricotta cheese with Goat’s milk. It is quick and easy, there are a lot of recipes online. Whats in the tomato sauce? I used a regular marinara sauce with basil from trader joes. Hope this helps! Do you think if I use a regular pasta sauce with basil and add in some ground beef that it would turn out well? I would love to make this for my boyfriend but I can see him asking me to put some sort of meat in it already haha! Can this be reheated for lunch the following day? Looks delicious! Thanks Buzzfeed for sending me over! Any other veggies you would recommend adding? you can stuff with spinach, kale, and other leafy greens. you can also sub the zucchini for eggplant! Eggplant, yum! Would you treat the eggplant any different than the zucchini during preparation? This looks and sounds so delicious! I’m a type 2 diabetic so I’ve been eating a lot more healthier. 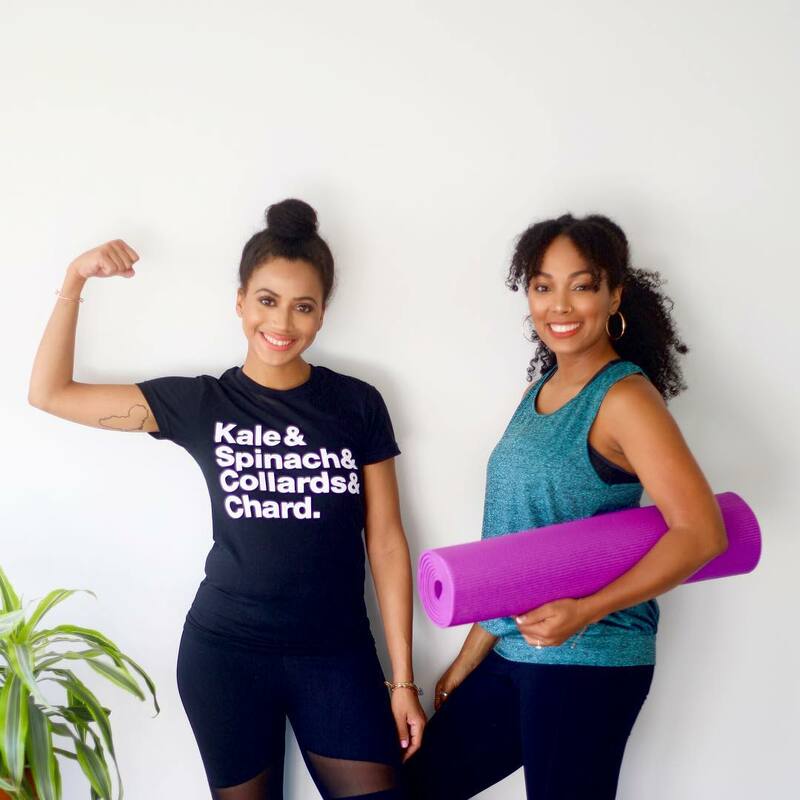 I look so forward to not only trying out this recipe,but also the green smoothie you made for breakfast and all your other awesome recipes! I enjoy getting protein from other sources besides meat. Keep up the great work! Cudos to you! What could I use instead of red onion? What’s a good side that you’d recommend for this dish? 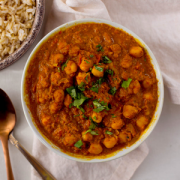 This looks amazing and I’m planning on making it for dinner tonight (with leftovers for tomorrow’s lunch-yay!) Can you guys give me a guesstimated calorie count per serving? Thanks!! This recipe actually seems doable! wow, this looks delicious! Can’t wait to try it with mushrooms. Thanks for the idea. What do you do if the tomato sauce is too watery(kind of like tomatoe juice) to thicken it up? I recommend throwing it in the blender with more tomatoes, herbs, onions, and garlic. Sounds great. Could eggplant be subbed directly for the zucchini? I like both though. Thank you for your wonderful healthy menu ideas. Yes it can! We actually have a no-pasta eggplant parm recipe on the site. Check it out! I love your recipe ideas, although I have problem with too much dairy. What can I substitute for the Greek yogurt? I look forward to trying the smoothie. 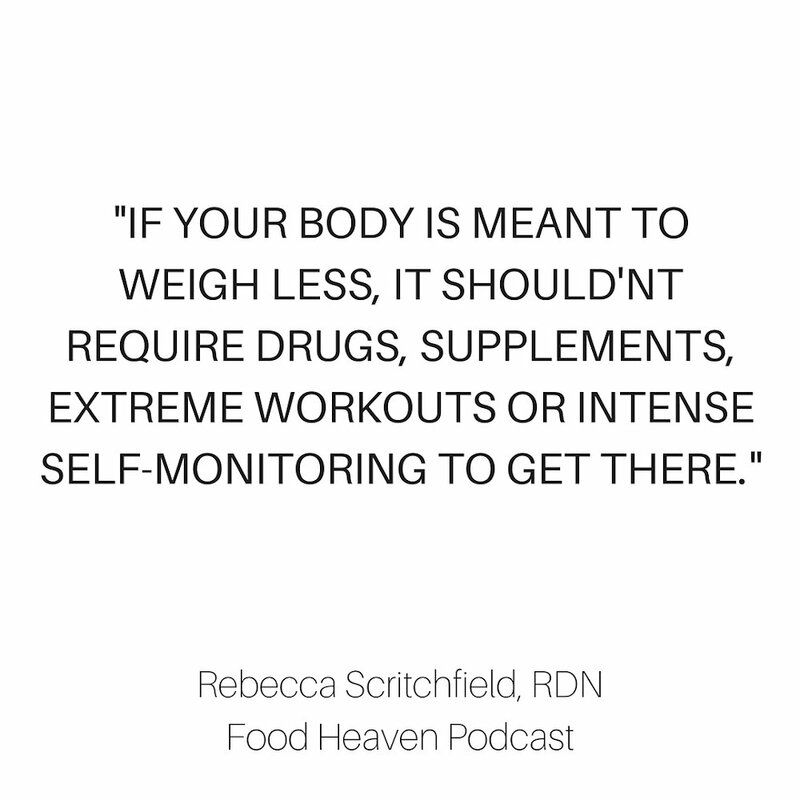 Would protein powder be a good substitute? Hey there! Yes you can use hemp protein or chia powder. There is also coconut and soy yogurts if you still want that taste. 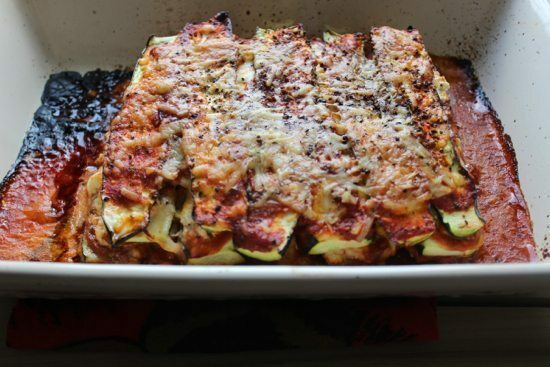 I usually broil or roast my zucchini and any veggies I use before baking my lasagna. Roasting really brings out the sweetness of the veggies and cuts down your overall baking time, too! How many calories are in this dish, per serving? 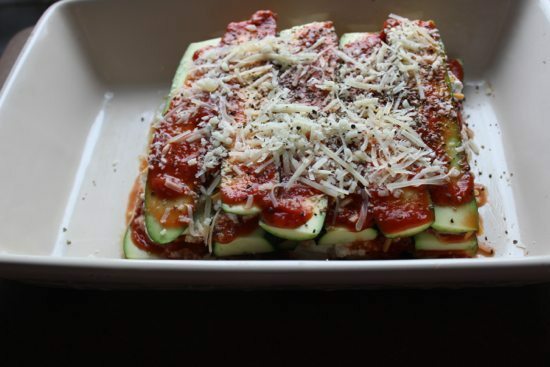 I made this last night for dinner and it was FABULOUS and I don’t even really like zuchinni! I am recommending it to everyone! Do you have any idea how many carbs would be in a serving? Thanks. This recipe looks fantastic! 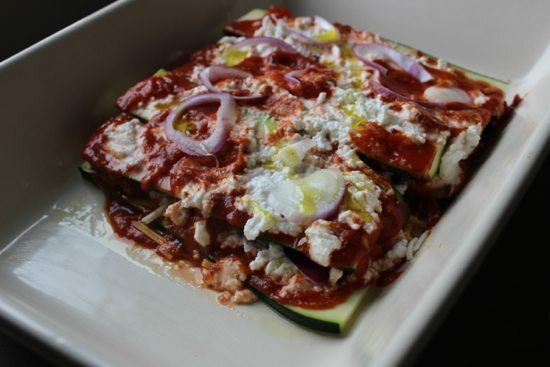 I’ve been working on eating healthier, my husband loves his lasagna so perhaps I’ll give this a try when he eats his traditional pasta style. ..plus we love to share new recipes at work, I’ll definitely be sharing this one! Thank you! Can I use cottage cheese instead of ricotta cheese? Do you think it would be too watery? hmm yes I don’t think it will hold the zucchini together as well as the ricotta. But who knows- give it a try and see how it goes! I just read your article on BuzzFeed today and tried the green smoothly (though I added about a tablespoon of agave syrup) and now I’m making this recipe! The smoothly was amazing! Can’t wait to try the lasagna! do I have to oil the baking dish before putting the zucchini in it? or just put them in there dry? I am making this right now and it smells delicious! I can’t wait to try it out! Made this tonight and loved it! I also added acorn squash to it. Thank you so much! Awesome!! So glad that you liked it and what a good idea! would you guys happen to know the nutrition facts for this? I am curious as to how many calories, grams of fat, etc. are in it. thanks! Delicious!!! First time I made it! I made a larger portion and added dill and cilantro to the tomato sauce! Very light, but filling at the same time. Do you think you could cook this in a slow cooker? If so for how long? I think you can definitely do it- it would be a matter of experimentation. Give it a shot with the same times we used, and let us know how it goes! Meal prepped this for dinner for the next 4 days and it is fantastic! Highly recommend it. I really enjoy all of your recipes on my journey to eating healthier. Thank you! 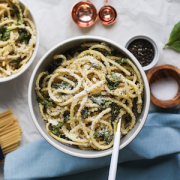 I just made this dish last night along with your diy cheddar kale chips for appetizers and WOW! First time making either and they were extremely delicious and were eaten right away! Thank you for posting your recipes, I will definitely make this again! OMG! This was AMAZING!! It tasted like lasagna without the heavy pasta!! you can definitely add more sides! Tried it, was very good but very watery. The zucchini gave out a lot of liquid when baking.